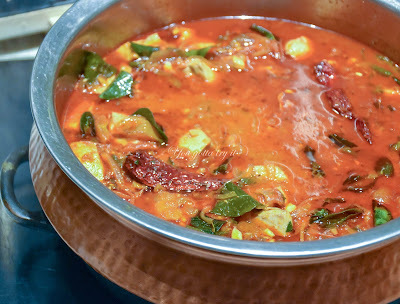 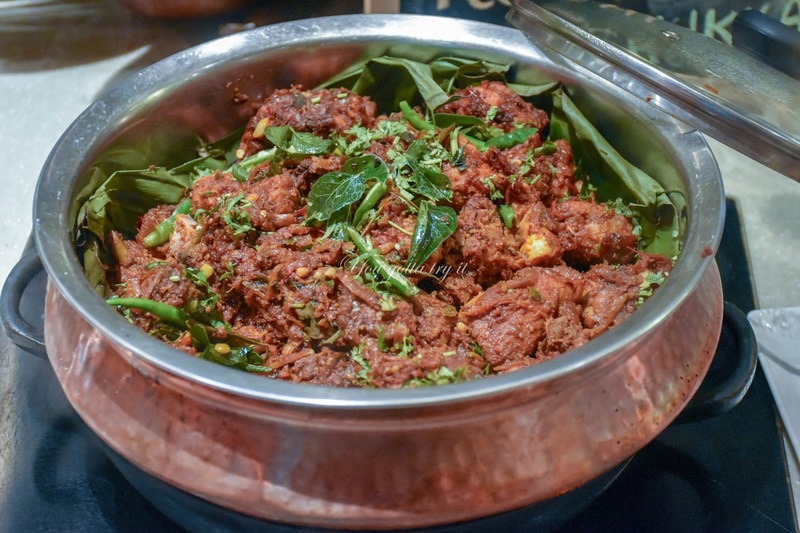 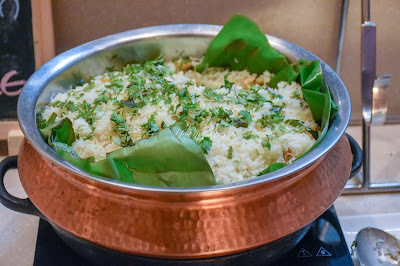 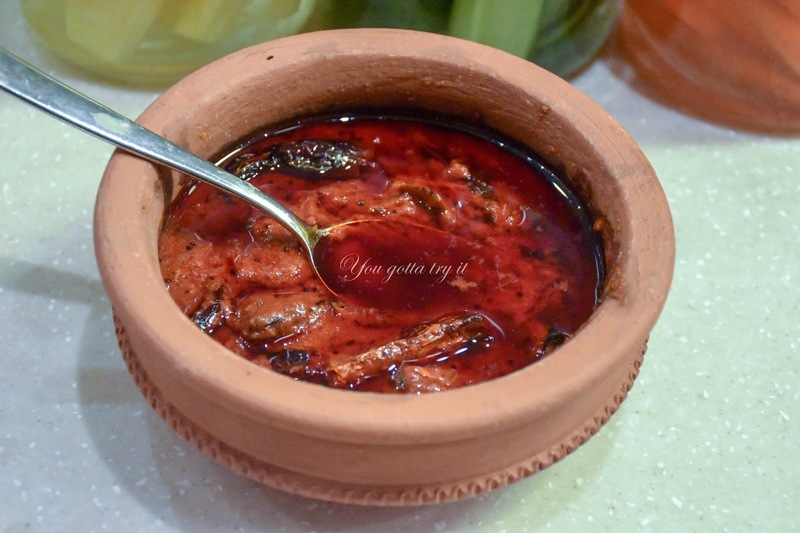 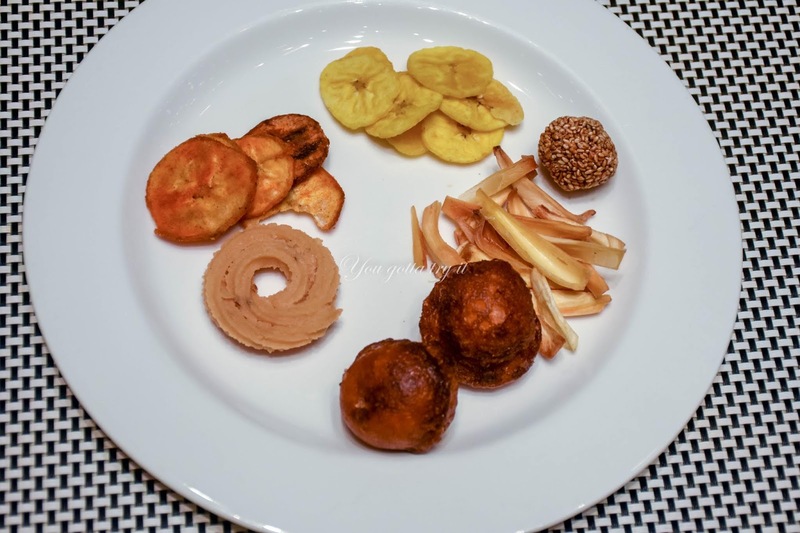 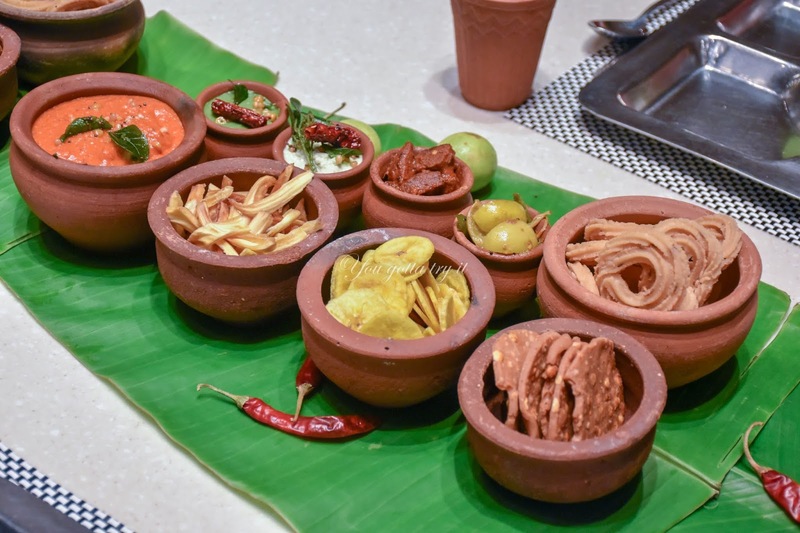 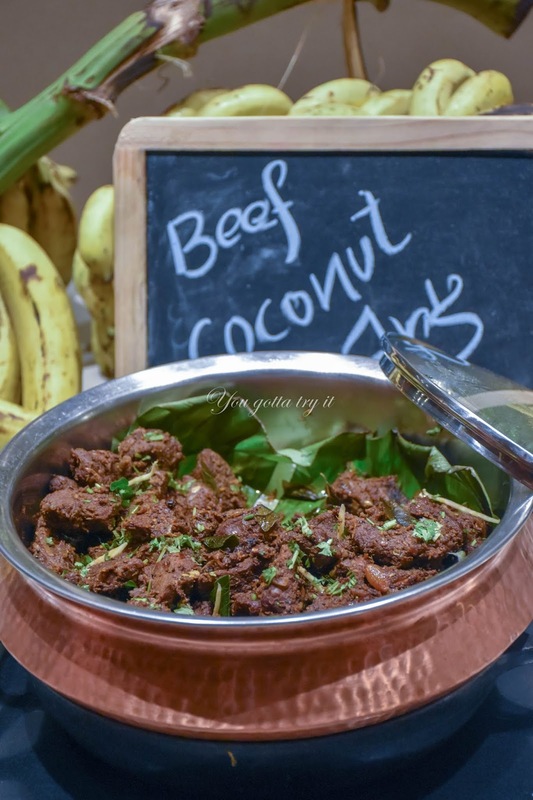 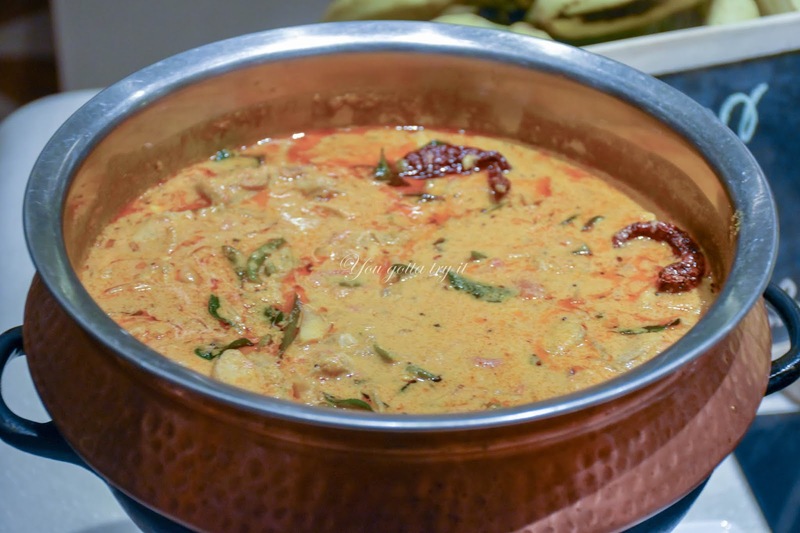 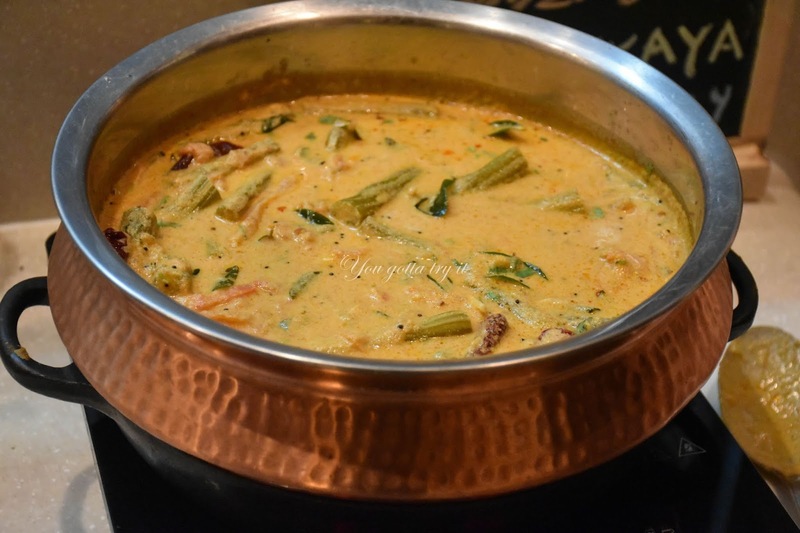 You gotta try it: Kerala Food Festival (20 - 30th July 2018) by Chef Saji P Alex at Feast, Sheraton Grand Hotel, Bengaluru! Kerala Food Festival (20 - 30th July 2018) by Chef Saji P Alex at Feast, Sheraton Grand Hotel, Bengaluru! 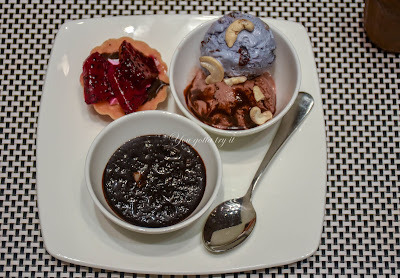 When I am super excited about something, especially when it is to write about an experience, I will end up with a temporary writer’s block. 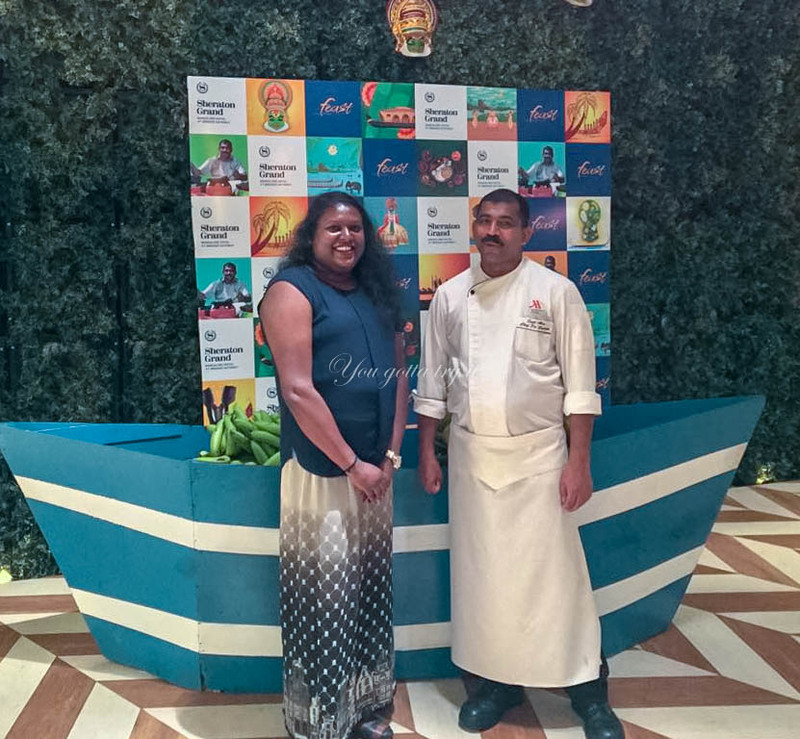 This time it’s about the ongoing Kerala Food Festival by visiting Chef Saji P Alex from Marriott Kochi at Feast – Sheraton Grand Hotel. 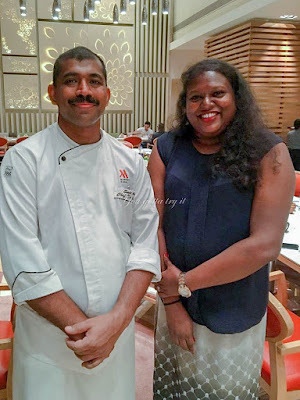 All I knew about him was that, this is the same Chef who served a wonderful breakfast spread for MasterChef Australia Judges – Chef Gary Mehigan, Matt Preston and Chef George Calombaris and Gary’s post on Kallapam (Appam which contains toddy) and Meen Moilee became so popular all over the internet. 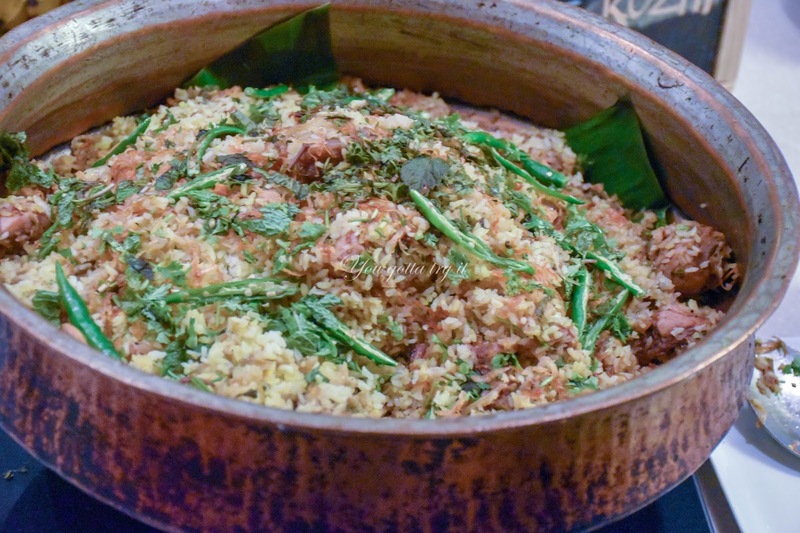 It was a proud moment for Chef Anthony Huang’s team, who then was working with JW Marriott. 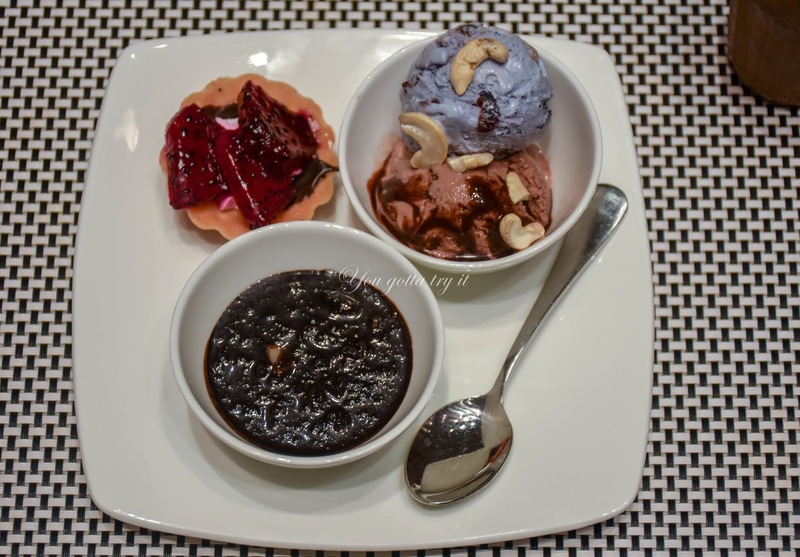 Being a Malayali girl, I was happy to meet Chef Saji who comes from my place – Kochi. 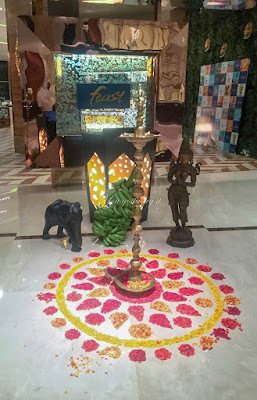 On the first day of the festival, a few of us were invited for a sneak peek of this festival and my experience in one word would be ‘delightful'. 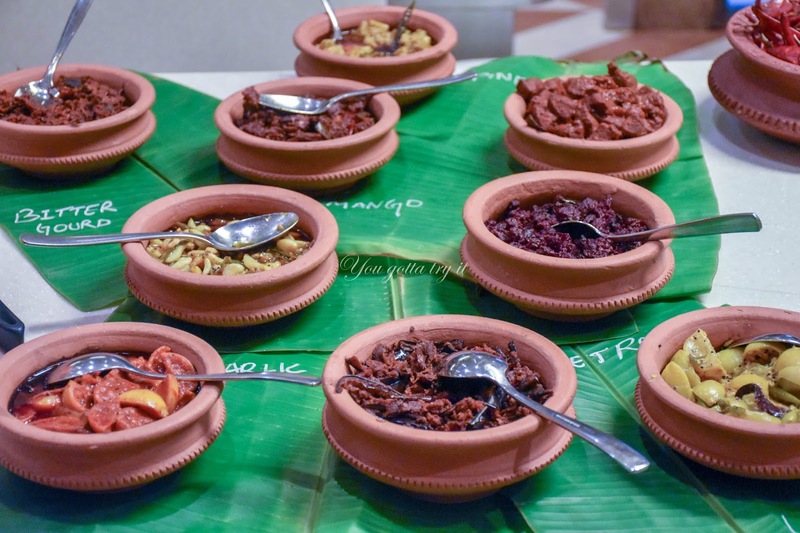 Kerala is the land of cultural diversity. 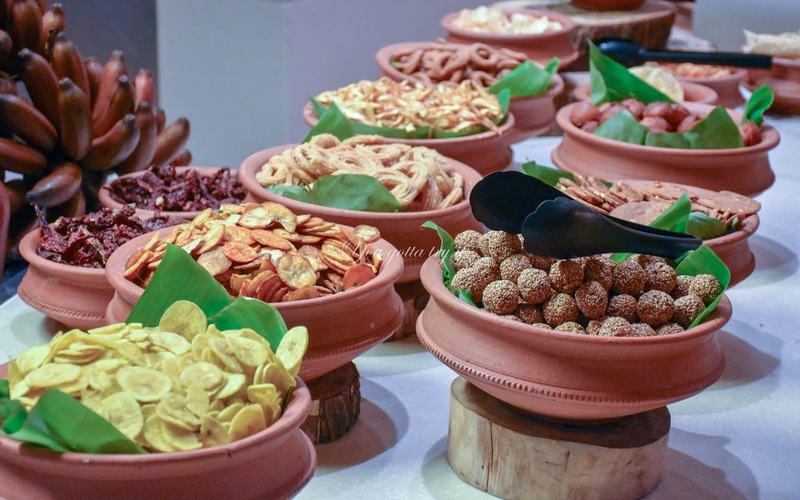 We have a long history of heritage and spice trading. 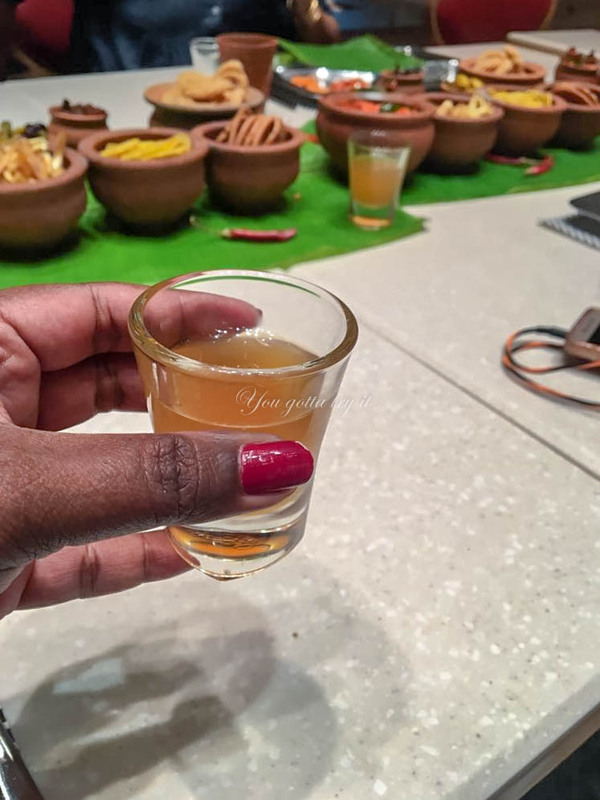 An array of exotic spices like cardamom, pepper, star anise, nutmeg, cloves, etc are grown here and traded from this small state. 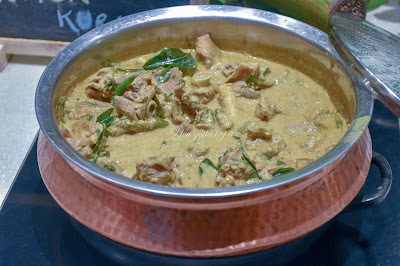 The food from different regions of Kerala has always amazed me. 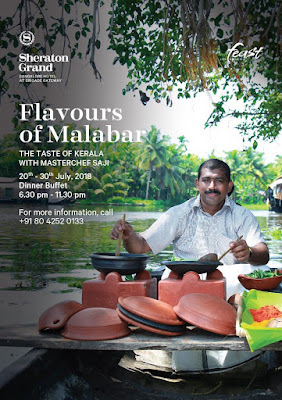 Feast by Sheraton has done a great job by showcasing different cuisines of Kerala and to name few, Malabar, Backwaters, Syrian, Thattukada, and Plantation cuisines will be the main attraction. The first day we tried the incomparable Malabar cuisine which has got Arabian, Persian and European influence. 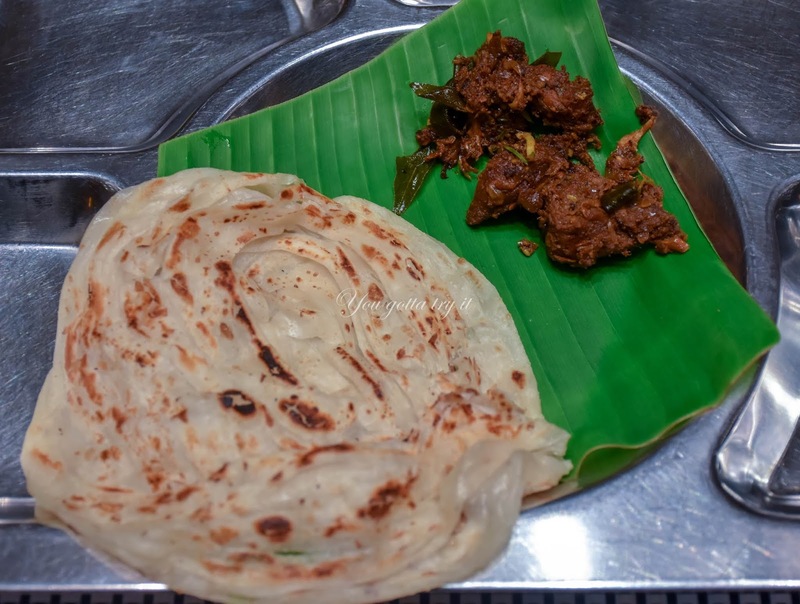 The northern part of Kerala is known as Malabar area and the food prepared here is not that spicy as compared to the central part of Kerala. We started with Chef’s special Ginger drink which was non-alcoholic and refreshing. 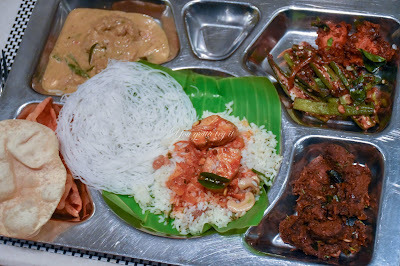 We got to try some of Malabar style Seer fish curry, Meen Mulakittathu, Idiyappam (string hoppers) and Paratha (Porotta as we mallus call it) from live counters, Beef varattiyathu, Thakkali muringaka curry (Tomato- Drumstick curry), Veg & Mutton Kurma, Nei choru (Ghee rice), Chicken Chukka, Kozhi Biriyani (Chicken Biriyani) and loads and loads of condiments, pickles and snacks. Surprisingly the usual suspects like Avial and Fish Molee were not there (Thank God!). 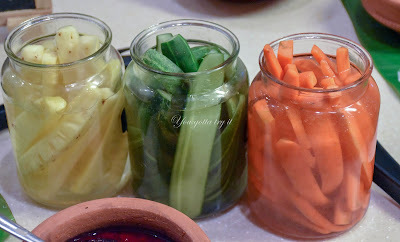 We can have a festival with only the pickles he made. It was so damn good. 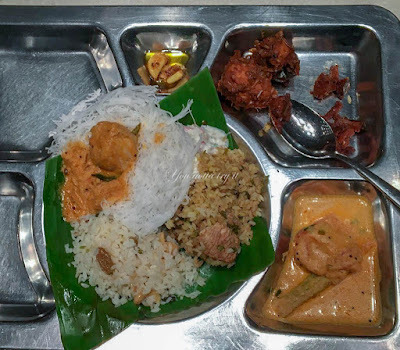 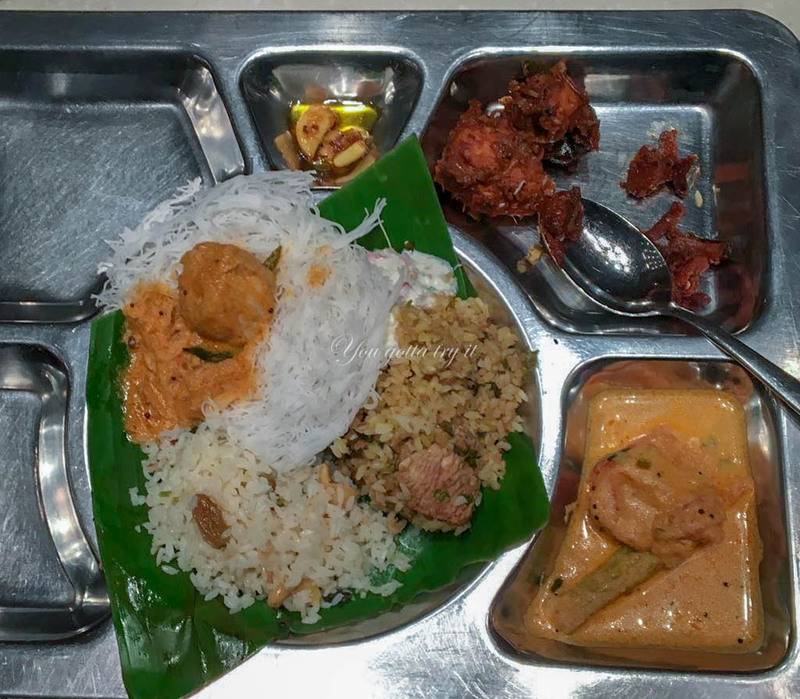 Most of the Keralites say ‘Kurachu chorum, ithiri, acharum , oru pappadavum mathi ooninu’ (just a small portion of rice with pickle and pappad is enough for lunch).